As part of our mission to be the go-to resource for on-the-go restaurant industry professionals, Modern Restaurant Management (MRM) magazine offers highlights of recent research. This second part of the Mid-January edition includes more trends, the European beer market forecast and Generation Z shopping habits. Here’s Part One. Changing demographics and purchasing behaviors make it crucial for beverage industry leaders to understand and capitalize on key consumer insights that identify growing trends. Evergreen Packaging®, worked with EcoFocus Worldwide to identify four key trends from the annual EcoFocus Trend Study that reveals growing themes expected to impact the industry in the coming year. The survey, conducted independently by EcoFocus Worldwide, examines wellness and sustainability trends impacting the food and beverage industry. In its seventh year, new study results show how consumer tastes, demographics and values are reshaping purchasing decisions. These shifts in consumer priorities are prompting companies to make changes. From Walmart’s commitment to sustainably sourced packaging to McDonalds’ pledge to source 100 percent of all fiber-based packaging from recycled or certified sources by 2020. Millennials are leading the escape from mass produced, over-processed and over-packaged foods and beverages with a demand for real, less processed ingredients. They want the preservatives and artificial ingredients out, and natural, nutrient-dense ingredients in. 69 percent of Millennials have changed what they buy in order to avoid artificial ingredients in foods and beverages. Millennials aren’t just thinking about the product’s contents, they are differentiating packaging for improved personal and planetary health. 73 percent say they try to buy products in packaging that is recyclable. 59 percent say they look for beverages in packaging that is made with renewable materials. With the demand for healthier packaging materials, it’s important to keep in mind that 86 percent of Grocery Shoppers and 87 percent of Millennials believe some types of packaging can leave undesirable chemicals in beverages. They say cartons and glass containers are the least likely to do so – and that cartons and glass best protect freshness without preservatives. The definition of what makes foods and beverages healthier is becoming increasingly complex. Clean ingredients have moved from a trend to the norm for many categories and brands. Creating products that are fresh and eco-friendly is the new go-to as these attributes will become increasingly crucial contributors to consumer’s measurement of “healthy” in 2017. 74 percent of Grocery Shoppers and 78 percent of Millennials say better personal health is a big benefit of an eco-friendly lifestyle. Many brands have already taken out preservatives and removed artificial ingredients – the next challenge is to leverage packaging to convey and deliver freshness without the chemicals that consumers view as undesirable for their health. Brands need to ask themselves if their packaging is aligned with their focus on clean ingredients and messaging. Grocery shoppers’ perception of different packaging materials heavily impacts the grocery industry. Smart brands and retailers must align with consumer values and effectively communicate the commitments behind their product, processing and packaging choices. 67 percent of Grocery Shoppers and 69 percent of Millennials say recyclable packaging is an extremely or very important quality for healthy beverage packaging. 59 percent of Grocery Shoppers and 64 percent of Millennials say packaging made with renewable materials is an extremely or very important quality for healthy beverage packaging. Consumers are increasingly looking to beverages to play new roles in their diets and health routines. Drinkable breakfasts and the “snackification” of beverages are fueled by consumer interest in nutrition and performance drinks that act as meal replacements and guilt-free snacks. In fact, BevNet reports that the carbonated soft drink category is continuing a five-year decline while demand for natural and organic drinks increases as consumers gravitate toward healthier options, with natural beverages driving 40 percent of dollar growth in the industry. Industry leaders should expect consumers in 2017 to demand beverages that work harder, whether for refreshment, satiety, energy, immunity boosting, sleep aid, blood sugar management, or a host of other functional benefits now associated with these multifunctional power beverages. 63 percent are seeking a good source of calcium. 61 percent are looking for beverages that are a good source of fiber. 61 percent want their beverages to contain lowered or reduced sugar. 60 percent are drawn to beverages that are a good source of antioxidants. 57 percent want to consume beverages with increased protein. 55 percent buy beverages because they are a good source of omega 3. 46 percent of grocery shoppers are looking for beverages that contain probiotics. A new survey of more than 1,000 U.S. consumers showed that, compared to three years ago, Americans are consuming more fresh products, including fruits, vegetables, meats and cheeses. The nationwide trend away from processed foods is driven by healthier diets and lifestyles, according to data gathered in December 2016 by the OpinionWay institute for Bizerba and Invatron. The study shows that nearly half of Americans (48 percent) consume more fresh products than they did three years ago and 41 percent say their consumption has remained stable over that period. Respondents strongly associate fresh products with high quality, better flavor, and less waste. Their preference for fresh products is driven by a desire for a healthier lifestyle and diet. Age is a determining factor in the preference for fresh products. Young people under the age of 35 are far more likely to choose fresh items than people aged 50 and older (58 percent vs 38 percent). Income is also a contributor. Only 45 percent of individuals in the lowest income group (less than $50,000/year) said their consumption of fresh products had increased over the last three years, as opposed to 53 percent of people in the highest income group (over $75,000). The pursuit of healthier lifestyles is driving purchasing habits. Nearly 60 percent of respondents said they are more conscious of what they eat and prefer a healthier diet. Fresh is strongly associated with quality. Respondents said fresh products are more flavorful (75 percent), healthier (74 percent), better quality (74 percent), and contain more healthy ingredients (74 percent). Specialty grocery stores and online retailers often associated with the 35 and under demographic lag far behind traditional supermarkets as the preferred shopping medium. Supermarkets were rated as the best across all categories for buying fresh products, thanks to the variety of product offerings, the overall shopping experience and the best value for the money. The majority of respondents (63 percent) say they opt to shop at supermarkets ahead of natural and organic grocery stores (14 percent), wholesale clubs (9 percent), and discount stores (8 percent). Amazon and other online retailers are breaking into the market, but are the preferred medium of only 5 percent of Americans. Cost is a key concern for the 11 percent of Americans who are eating less fresh food than they have historically. More than a quarter of respondents (26 percent) say they eat fewer fresh products because they are less well-off financially, and 24 percent say they think that fresh products are more expensive than before. Additionally, 21 percent of respondents who consume fewer fresh products say they cook less than before, and 14 percent say they have less time to prepare meals at home, so they no longer purchase fresh products because of the concern over spoilage (24 percent). Only a small subset (11 percent) of those consuming fewer fresh items say they are no longer interested in a healthy diet, and 8 percent say the stores selling quality fresh products have closed near where they live. 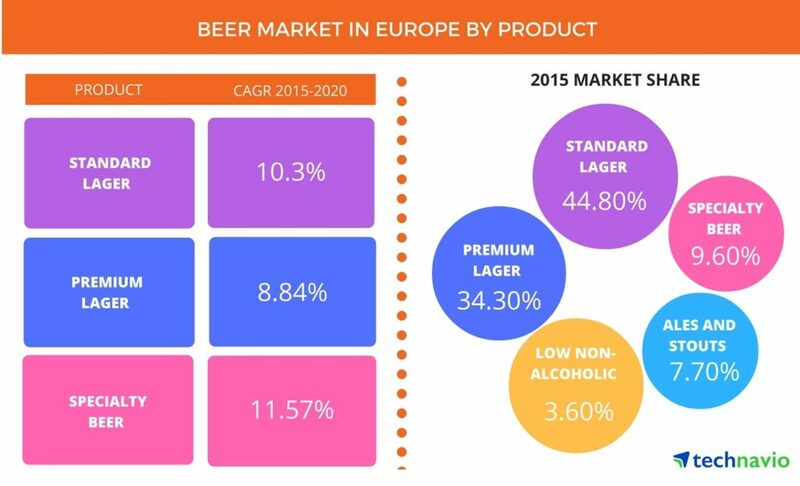 According to the latest market study released by Technavio, the beer market in Europe is expected to grow at a steady CAGR of more than one percent during the forecast period of 2016-2020. This research report titled ‘Beer Market in Europe 2016-2020’ provides an in-depth analysis of the market in terms of revenue and emerging market trends. This report also includes an up to date analysis and forecasts for various market segments and all geographical regions. To request a free sample report: click here. In the highly competitive beer market, innovations play an important role, which is changing the state of the market in Europe. Preference for specialty beers and low/non-alcoholic beers has increased. Though the consumption rate of standard lager has decreased, the growth of the standard lager beer market is expected to be steady during the forecast period. Standard lager is still one of the most preferred types of beers in European countries such as Czech Republic, Poland, and Slovakia. The increasing demand for premium products due to improvement in living standards and an increase in disposable incomes is increasing the demand for premium lager products in the European market. The demand for flavored lager is also increasing in major markets such as the UK, Romania, and Poland as consumers are increasingly demanding new and innovative products. It is estimated that these markets together will account for almost 70 percent of the volume sale of flavored lager during the forecast period. Creative marketing along with an increase in disposable income and preference for better-quality beer is expected to drive the growth of the specialty beer market in Europe. Though the preference for specialty beer has increased, mass consumption cannot be expected as higher production costs for specialty beers lead to higher prices. There will be a revival of the ales and stouts beer market in Europe during the forecast period. Innovations in the market will result in increased demand for a variety of ales and stouts. Craft ales and stouts are also growing in demand among consumers in the European market. Private label products are also making inroads into the market as the lower price of private label products makes it more affordable to the consumers. Supermarket chains such as Tesco have come out with their private label offerings of ale and stout products. Low/non-alcoholic beer is now being widely accepted by consumers in Europe. Brewers in Europe are continuously innovating as there is a huge long-term sales potential for low/non-alcoholic beer in Europe. Availability of healthier forms of beer has resulted in increased frequency of consumption, driving the growth of the low/non-alcoholic beer market in Europe. “Brewers are focusing on female-centric branding and trying to educate potential consumers about the low alcohol content and lower calorie levels. Launched in 2012, the European Beer Pledge, which focuses on reducing alcohol-related harm, is also a major driver for the growth of the European non-alcoholic beer market, especially among binge drinkers and people who drive home after partying at night,” says Manjunath. The global food container market size is expected to reach USD 346.99 billion by 2025, according to a new report by Grand View Research, Inc. Technological advancement in terms of new packaging materials capable of ensuring cold storage and enhancing shelf life to the finished food products is expected to have a positive impact. The rising importance of bio-plastics packaging in the food & beverage industry as a result of stringent regulations aimed at recycling in the manufacturing sector is projected to expand industry size over the next nine years. Furthermore, the buyers are expected to prefer flexible convenience packaging material over metal and glass counterparts owing to former’ light weight. Flexible packaging is expected to witness growth at a CAGR of 4.6 percent from 2016 to 2025. The growing importance of stand up pouch bags as packaging products in the food & beverage industry on account of being contaminant free and certified as safe by the FDA (Food and Drug Administration) is projected to increase industry demand in the near future. Paperboard products accounted for 19.8 percent of global revenue share in 2015. The excellent recycling ability of paperboard as compared to its plastics and glass counterparts is expected to remain a key influencing factor for industry in the near future. Bakery goods are projected to account for 22.0 percent of total market sales by the end of 2025. Positive outlook towards baked goods industry of China and India owing to new product launches including frozen paratha and stuffed garlic bread is expected to increase the packaging scope over the next nine years. Europe dominated the market, accounting for 33.5 percent of global revenue in 2015. The robust presence of manufacturing facilities of dairy goods and bakery products in Western European countries including Germany and the UK on account of easy access to technological expertise and equipment services is expected to remain a favorable factor. Key industry players include Ball Corporation, Owens-Illinois Group, Silgan, Ardagh, Bemis, Caraustar Industries, Berry Plastics, and Graham Packaging. The establishment of strategic partnerships with buyers and product innovation for the development of tailored solutions are expected to remain major critical success factors in the future. Over the past few years, the global food container market has been witnessing merger and acquisitions by some of the manufacturers. For an instance, Caraustar Industries, Inc. acquired The Newark Group, Inc. in February 2015 with financial assistance from Jefferies LLC, Wells Fargo Capital Finance Credit Suisse Securities (USA) LLC, and Regions Business Capital. One of the most striking findings from this research is that 96.8 percent of consumers agreed that how well an online retailer handles returns influences whether they will order items from that retailer in the future. This finding cements the fact that, regardless of brand recognition or reputation, nearly all consumers consider what will happen if they need to return an item before they even complete a purchase. Regardless of the reason for the return, the overall preferences noted by consumers points to the demand for omnichannel returns capabilities and the need for retailers to be able to manage inventory levels and track items across in-store and online channels. When respondents were asked about their return channel preferences, they were divided in their responses. When items are delivered to consumers by mail, 36.2 percent noted a preference to return purchases through the mail via prepaid label while 44.9 percent reported a preference for making in-store returns. When errors do occur and consumers receive an incorrect item, the survey found that they expect the retailer to replace the item(s) quickly. 28.4 percent of consumers expect to receive the correct item in 2 days or less and 72.8 percent expect the correct item in 4 days or less. These results demonstrate an increase in expected speed over previous years. Surprisingly, the survey results also indicate that many retailers fail to ship the correct item even when given a second chance. 24.0 percent of consumers stated that they have received the incorrect item for a second time after returning an item. This figure represents a 25 percent increase in the number of occurrences compared to survey results from 2014. However, what may be the most telling result is the fact that 7.4 percent of consumers did not reorder from retailers who initially shipped an incorrect item and instead requested a refund. Furthermore, of those who received an incorrect order twice, 60.3 percent said that they are unlikely to shop with that retailer again for future purchases. Similarly, the detrimental impact on a brand’s reputation is not limited to a single consumer. When asked how likely they were to share their negative experiences about a late delivery or incorrect shipment on social media, customer review sites, or other public forums, 45.5 percent of consumers reported they are likely or very likely to share their negative experiences with an additional 29.3 percent indicating that they were at least somewhat likely to take the same course of action. Ibotta, the mobile shopping app, released findings from its National Milk Day report that showed Monday is the best day to buy, when milk is four percent cheaper than it is on Sundays, the most expensive day to buy. The findings, which included an analysis of 34 million grocery receipts from January through December of 2016, and a survey of more than 31,000 shoppers, also revealed that Cleveland residents buy more milk than any other city, followed by Philadelphia, Pittsburgh, Raleigh-Durham and Dallas-Ft. Worth. Straight from the Cereal Bowl: Almost two-thirds of respondents say they drink leftover cereal milk, with another 10 percent saying it depends on the cereal. With a Little Chocolate: Nearly 70 percent of consumers prefer chocolate syrup over chocolate powder when making homemade chocolate milk. By the Expiration Date: Approximately 45 percent of respondents say they will never drink milk past its expiration date, while a bold one-third say they will drink milk more than two days past the expiration mark. Out of the Carton: Grossing out germaphobes everywhere, a full one-third of respondents copped to drinking milk straight from the carton. In their Coffee: Consumers’ love of milk extends to coffee as well, with almost 60 percent of all responders saying they prefer milk or cream with their daily cup. The survey also found that, despite the growth of dairy-free milk products in recent years, two-percent milk is still the most purchased variety, followed by whole milk. Looking back at the year in review, the packaging industry took strides in more innovative, sustainable, holistic, technologically advanced and efficient directions. Realizing new opportunities in a variety of industries, as well as uncovering new challenges, members of the packaging world and beyond turned their heads towards advancements that would not only generate greater potential in materials, design, manufacturing, sourcing and end-of-life opportunities, but leveraging that potential throughout the value chain and across practices. Establishing a “one size fits all” ecommerce model: Since ecommerce has taken a major share of the retail market, we’ve seen the wild west emerge with a variety of online retailers, aggregators and digital distributors that come and go, attempting to write and rewrite the rules of the rapidly emerging industry. With Amazon proving to have the most authority on what needs to be shipped, when, how and in what quantity, brands are having a difficult time fitting into their ecommerce model. Traditional single SKU case shipments from brand owners are in quantities to stock shelves and sell through, but Amazon requires an “each” model as opposed to “stock,” which also increases complexity when cross-brand product bundles are required. This year we’ll see new packaging options and solutions to improve this important and growing drive to standardize packaging containers to handle shipping, as well as processes to streamline distribution and enable cross-brand bundling. Prioritizing food safety and the reduction of food waste with new packaging technologies and processes: Global food waste is a growing concern among consumers which businesses continue to address, while cross-industry groups and influencers are leading initiatives across countries in order to improve food safety and reduce food waste. One critical area of focus is consumer education, and ensuring that those who sell and those who consume packaged food products understand their shelf life. In order to bridge the gap in communication, not only has new processing and packaging technology been developed to actually extend the shelf life of food, but technology built into packaging via freshness sensors will alert customers/ consumers regarding the shelf life of their food and when it is safe to consume in order to avoid early disposal and excessive purchasing. Commercialization of packaging innovations: As new more advanced and sustainably sourced and processed materials emerge, more industries will have the opportunity to bring clean label packaging to market. Examples include high pressure packaging technology, more replacement material coming to the market, active/ digital packaging and 3D printing. We’ll see strides in pharmaceutical packaging by way of traceability and tamper-alerts, as well as monitoring capabilities to ensure patient accountability. Through 3D printing, we’ll see increased commercialization in tooling and manufacturing, moving beyond the already present prototypes – significantly cutting cost and saving time. Brand owners will begin collaborating more with new technology providers to evaluate improvements to their bottom line. Organizations will practice a more flexible model use of resources, essentially not needing to have all of that technology in house, but collaborate with partners who own this area. Holistic packaging becoming the “new normal”:Product and packaging integration has been at the forefront of many conceptual conversations in the industry for a few years now. As the holistic approach to packaging design becomes more and more relevant across different silos of a business, realizing its relevance from end-to-end, we will begin to see more application of holistic packaging design principles ensuring its consideration at the earliest product development stages rather than just concept discussion. New advances in packaging materials design as well as equipment and processing technologies have allowed more application to come to market, as well as a greater understanding of the need for fully integrated communication across value chain from marketing, branding, packaging, etc. to drive a singular goal. Trolley Dogs sold 12,000 hot dogs = 28 miles of hot dogs, end to end. Shuck Truck shelled 2500 oysters, and 1000 lobster rolls. FTFA has been creating food truck festivals since 2011. 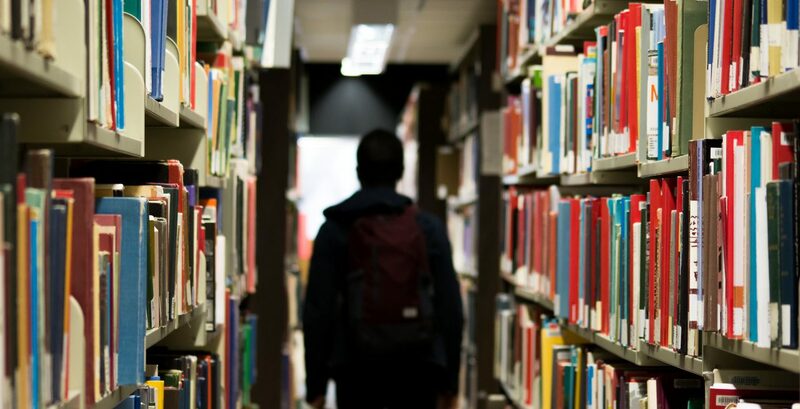 Despite expectations that the first “digitally native” generation would want to shop online, a new study released by IBM and the National Retail Federation found that almost all members of Generation Z prefer to shop in bricks-and-mortar stores. With the global Gen Z population set to reach 2.6 billion by 2020, retailers need to create more interactive engagement around their brands to serve the “always on,” mobile-focused, high-spending demographic, according to the study. Born after the mid-1990’s till early 2000s, Generation Z is the first “digitally native” group to grow up not knowing a world before cellular phones, smartphones and other digital devices. But the study found that 67 percent of Generation Z shop in a bricks-and-mortar store most of the time, with another 31 percent shopping in-store sometimes, indicating that 98 percent of Gen Z shop in store.